Inside the main courtyard of the Wat Suthat. The temple features numerous Chinese pagodas, bronze horses, and figures of Chinese soldiers. 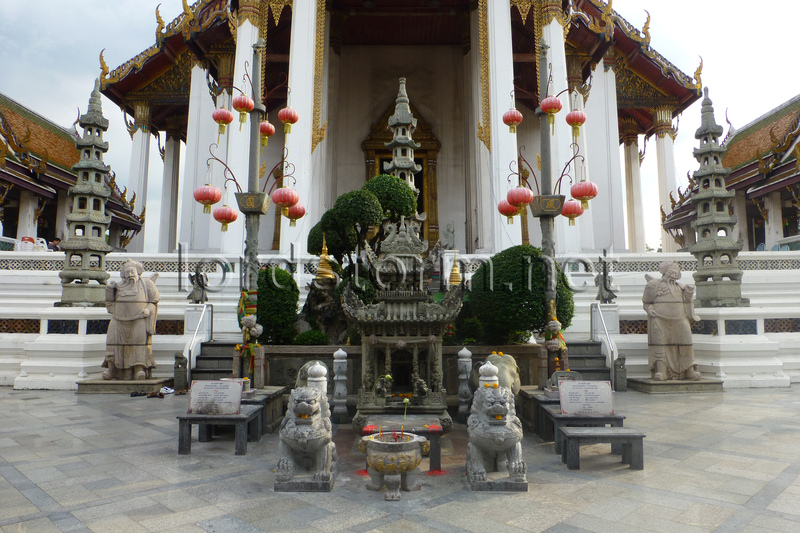 The statues are said to have been shipped from China as ballast in rice boats during the reign of king Rama I.